After surgery, you or your loved one may need breathing treatments and other types of respiratory therapy to prevent complications. This may range from a single treatment with an inhaler to ICU level care for the sickest individuals who require a ventilator to assist with their breathing until they are able to breathe on their own. These respiratory treatments and many others are provided by respiratory therapists (RT), college-educated healthcare workers who are trained to care for the lungs and to implement the plan of care in conjunction with the rest of the healthcare team. They may work with a physician who provides care in a hospital setting, a pulmonologist—a physician specializing in the treatment of lung issues, or they may work throughout a facility caring for many patients of different types. Job duties vary from facility to facility. In some hospitals, a respiratory therapist may provide all respiratory care, while in others, they may share the workload evenly with nursing staff. Typically, the RT provides inhaled medications such as nebulizer treatments and nebulizer treatments and works closely with the nursing staff as their work may overlap. Any individual who is at risk of developing a respiratory complication, or who has developed a serious pulmonary problem, would be treated by a respiratory therapist in the hospital setting. Surgery patients, in general, are at a higher risk of breathing problems than the average individual. 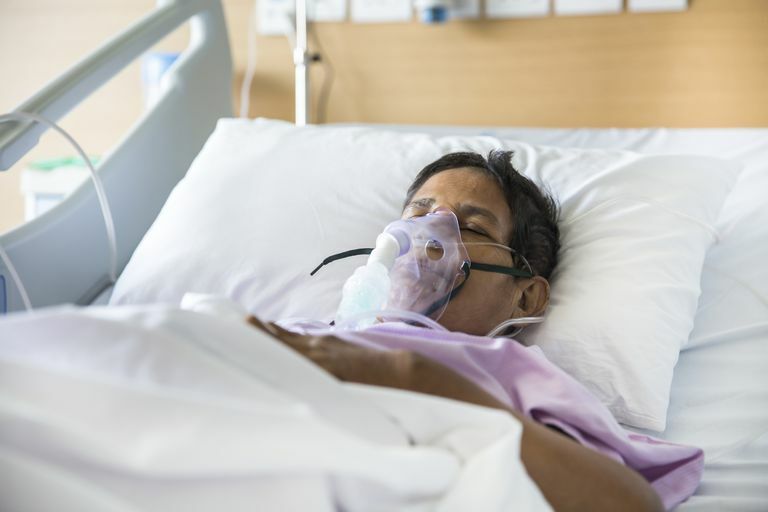 Being on a ventilator during surgery, and the process of recovering from surgery increases the risk of developing lung infections and other issues. Most surgery patients who stay one night or more in the hospital after surgery can expect to have some type of breathing treatment during their stay. Oxygen Therapy: Many patients require supplemental oxygen in the hours or even days following surgery. This oxygen may be given through a nasal cannula, a mask, or even through a ventilator when necessary. The amount of oxygen is often adjusted by respiratory therapists. Inhalers: These are medications that are inhaled, one “puff” at a time. They are commonly used by people with asthma and are used to open airways, reduce secretions and inflammation, and to reduce or prevent the symptoms of asthma. Nebulizer Treatments: This is a type of aerosolized medication that is inhaled for minutes or even an hour. It helps open airways, decrease irritation and can decrease inflammation. Nebulizer treatments can also be used to help stop an asthma attack. CPAP and BiPAP: These are machines that help the patient better use oxygen by holding open the airway. The patient wears a mask that helps prevent episodes of apnea, a condition that occurs when the patient briefly stops breathing while asleep. CPAP and BiPAP can also be used for patients with severe lung disease who are not breathing well enough on their own but are not so sick that they require a ventilator. BiPAP machines are often used with chronically ill patients with lung disease, as it can help decrease the amount of carbon dioxide that may be building up in the body. Cough and Deep Breathing: Respiratory therapists teach this technique to patients who are having difficulty clearing secretions from their lungs. The patient repeatedly takes very deep breaths followed by a forceful cough. How to Cough: Individuals who have recently had surgery need to cough, but forceful coughing places strain on incisions, especially abdominal incisions. Learning to cough properly after surgery, by using a splint, can make coughing more effective and less painful. Incentive Spirometry: This is a tool that requires the patient to inhale forcefully, which helps open the airways and prevent atelectasis. Suctioning: For patients who are unable to remove secretions from their airway by coughing, suctioning can be performed. This is typically performed by attaching a small tube to a suction device and inserting it into the airway. This can be done for patients who are breathing on their own or who are on a ventilator. Ventilator Management: For patients who are unable to breathe on their own, a ventilator may be necessary. For patients who require a ventilator, respiratory therapists will be very involved in their care. The RTs, along with nurses, are responsible for maintaining the ventilator and the tubing that attaches the patient to the machine, providing breathing treatments to the patient as well as suctioning and mouth care. Pulmonary Function Tests: These are tests that are performed to determine how well a patient’s lungs are functioning. These tests are typically ordered by a physician or another provider but administered by an RT. Arterial Blood Gases: This is a test that is performed on blood drawn from an artery that can determine if a patient is receiving enough oxygen, how well they are breathing, and if they need additional help breathing from BiPAP, CPAP or a ventilator. Respiratory therapists and nurses are typically responsible for drawing the blood, and often play a role in determining if interventions are necessary. Intubation: In many hospitals and other facilities, respiratory therapists are responsible for placing an endotracheal tube, the breathing tube that allows patients to be placed on a ventilator. Anesthesia providers also perform this task for patients who are having surgery using general anesthesia. Education: Many patients need information about their disease process, smoking cessation, and the medications they are prescribed. Respiratory therapists are often responsible for making sure the patient knows how to use a nebulizer or inhaler, encouraging healthy behaviors and other types of education. National Institutes of Health. How is Respiratory Failure Treated.